I’ve been traveling to Greeley quite a bit this summer. Every time I pass through, I marvel at the variety and styles of architecture, the diversity of people, and the length of time it takes to get there from Fort Collins. (Why does it always take longer than I expect it will?!) A friend also recently gave me a book that was published in 1970 on the history of the city of Greeley. So Greeley has been much on my mind of late. 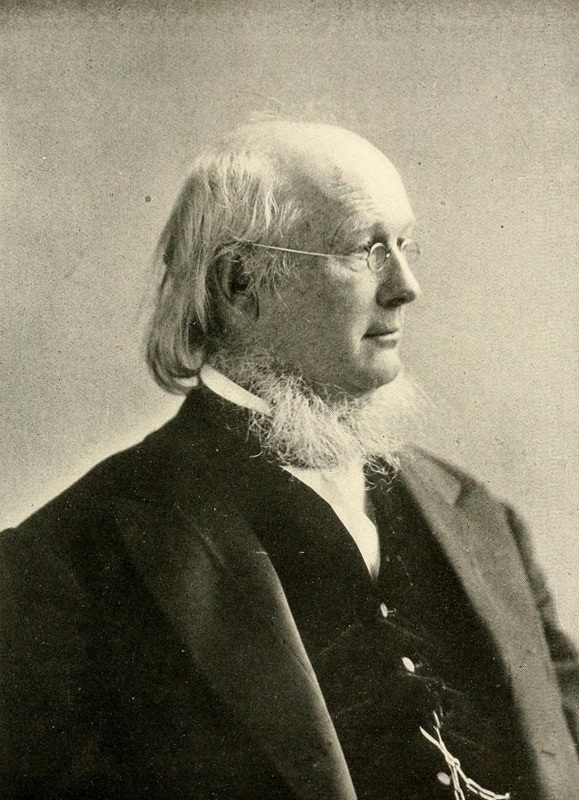 … Which has also gotten me to thinking about Horace Greeley, the man for whom the city was named. Horace was the founder and editor of the New-York Tribune and a friend of Nathan C. Meeker, a fellow newspaperman who founded the Union Colony (which later became the city of Greeley) in 1869. As I read through the history book that my friend gave me entitled the first hundred years — greeley, colorado (Yes, the title is all in lower case — at least on the front cover. It must have been a ’70s thing.) 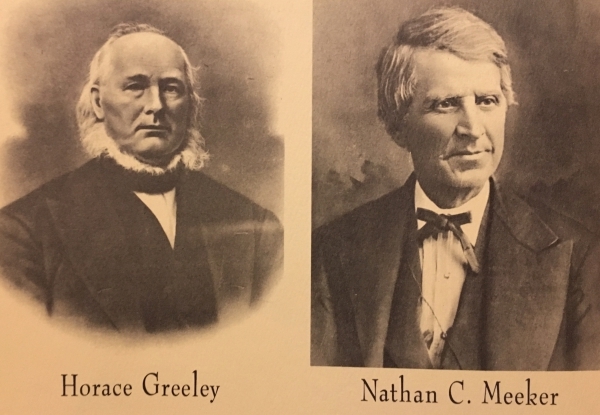 I was not only reminded of how the city was founded and named, but in the very beginning of the book are also pictures of both Horace Greeley and Nathan Meeker. I took some time to look upon the images of these two notable men. From the book the first hundred years — greeley, colorado. That, it turns out, has a name. From the book Famous Americans printed in 1901 and digitized in 2011. Have you ever seen that comic of a dog at a computer that’s turned toward his fellow dog, on the floor beside him, and he says, “On the Internet, no one knows you’re a dog.” Yeah, well, in some ways I feel like Horace has pulled one over on me in the same way the dog tricks everyone he’s chatting with online. Dude! You have a neckbeard! How can I have known about all these other things you’ve done without knowing this important detail about you? And it’s not like his neckbeard was just a fad — a phase he went through. This isn’t like Picasso’s Blue Period where all of his paintings were predominantly blue for a few years then he went back to drawing wonky shaped people — but at least with normal color schemes. No, Mr. Editor of the Newspaper Horace Greeley had a neckbeard for decades. He had it when he was young and he still had it when he was older. 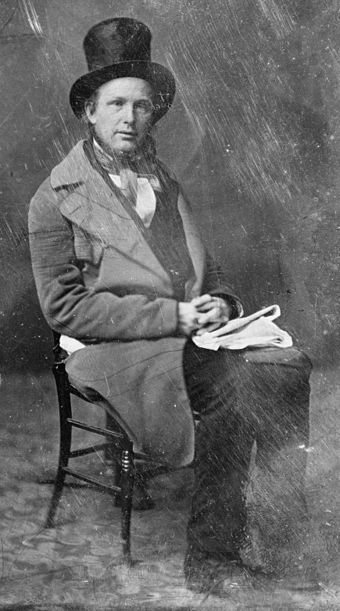 Photograph of Horace Greeley by Mathew Brady, taken between 1844 and 1860. There’s a lot of things I could say about Greeley. He was the guy that said, “Go West, Young Man!” (although he was just echoing John Babsone Lane Soule who said it before him). He was against slavery and urged Lincoln to abolish it before Lincoln himself felt ready to make that move. He helped to found (and may have even named) the Republican party in 1854. And in 1872 he ran against incumbent President Ulysses S. Grant in a failed bid for the presidency. But through thick and thin–in wartime and in peace–his neckbeard was with him through it all. And for now, at least, that’s the thought that’s going to stick with me as I contemplate Mr. Horace Greeley. Dude really rocked that neckbeard. You go, Horace. From the Library of Congress’s Prints and Photographs division. 1870 -1970 The First Hundred Years greeley, colorado, by Barbara Smith. Published by the Greater Greeley Centennial Commission Inc. and printed by The Journal Publishing Co. in Greeley, Colorado. © 1970. 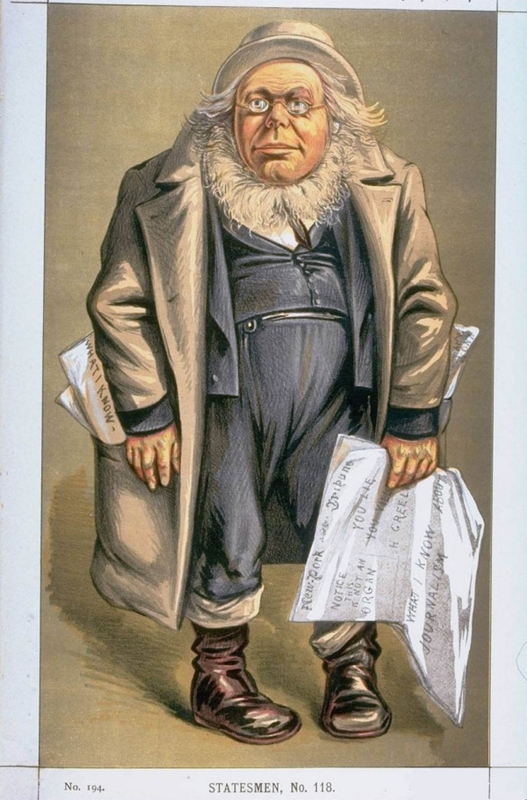 The Wikipedia entry on Horace Greeley. 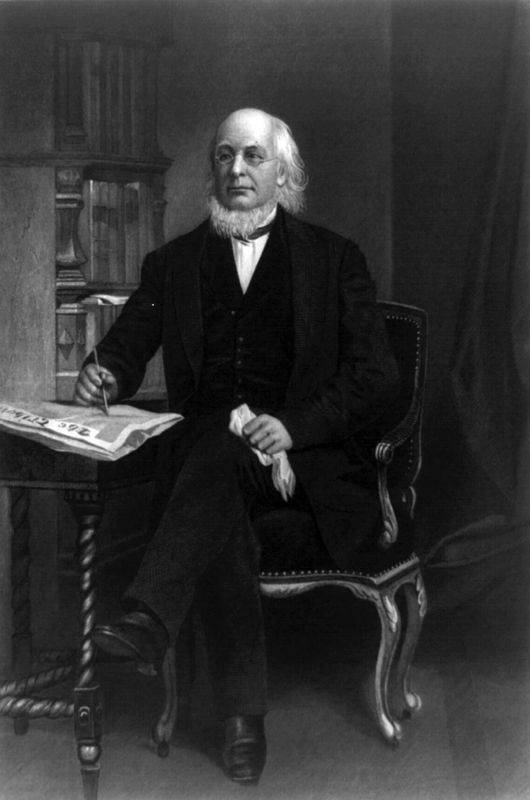 I found most of the images of Horace Greeley through Wikimedia Commons.